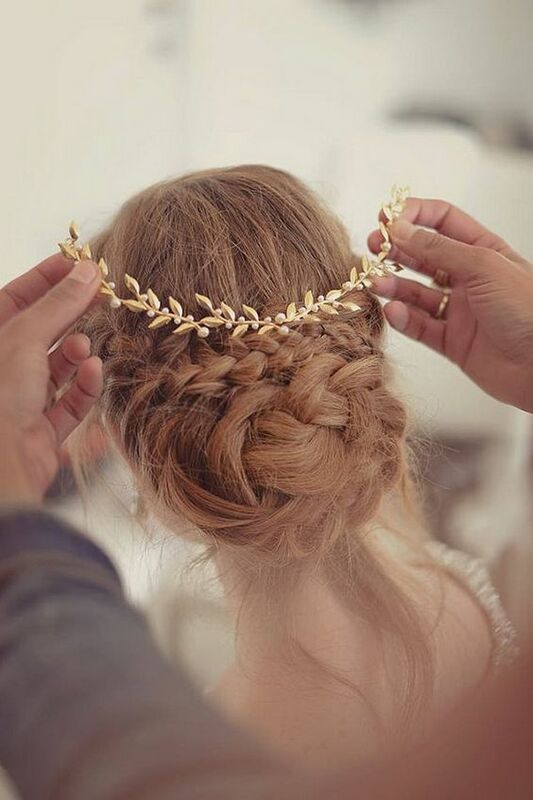 If you love the bohemian style you’ll seen that braided hairstyles are a trend for brides and bridesmaids.You know I adore brides with loose and free hair, but since I have discovered the braided updos with flowers, I cannot imagine a bride or a guest without them! A few days ago I was talking with a bride here in my atelier and she asked me advice on what hairstyle to wear for her wedding. I suggested to her a fishtail side braid, as she has not very long hair. 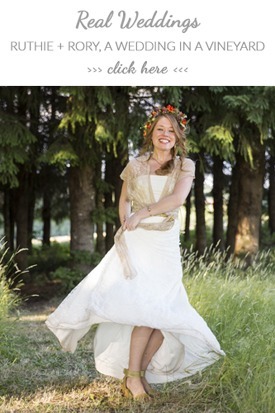 I thought it would fit very nice with her style and the dress she had chosen for her wedding. 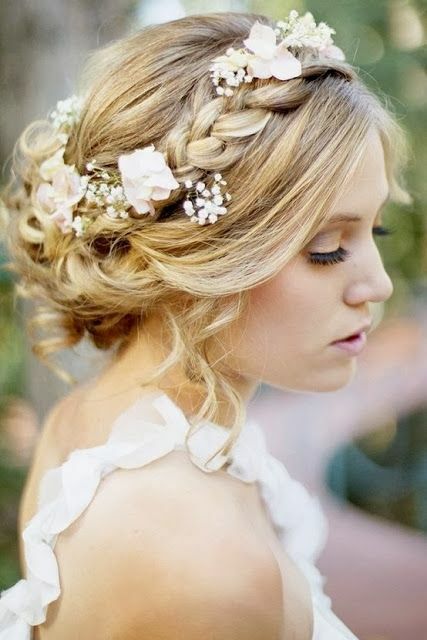 These days I have been looking for more ideas to share with my brides and I wanted to make a selection of braided hairstyles for weddings to inspire you. 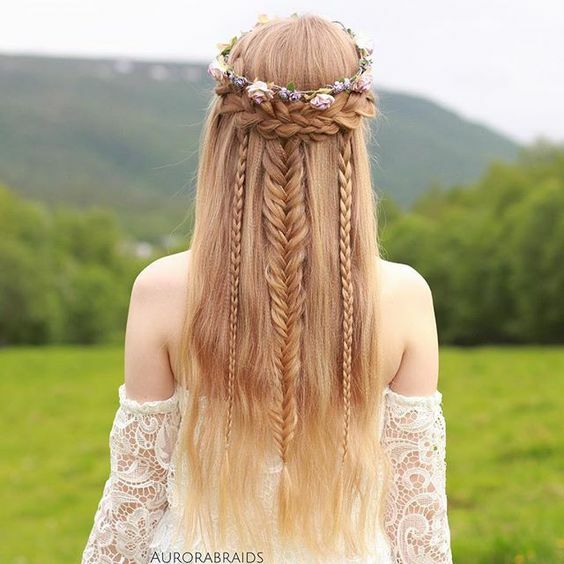 You can choose from braided updos, a braid with your hair down or a viking braid. 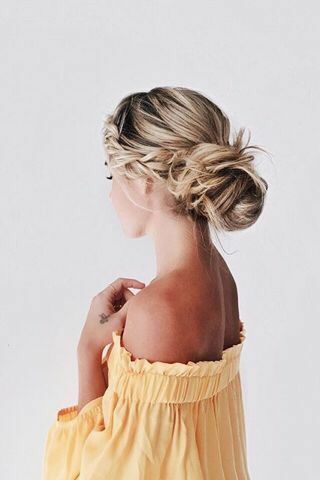 If you’re a bridesmaid, wedding guest or for any kind of event, these hairstyles will also fit you perfectly. I have already chosen my style for the next wedding! 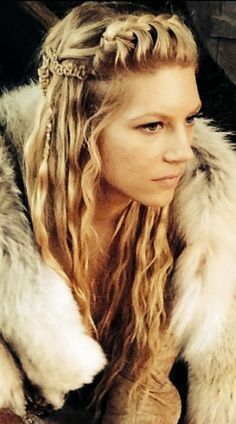 If you love the boho style and you’d like to wear your surfer hair down, you can add one of the following braids and you’ll look wonderful. And if you’d like more volume, you can add false hair in the same color as your natural hair to make your braid. 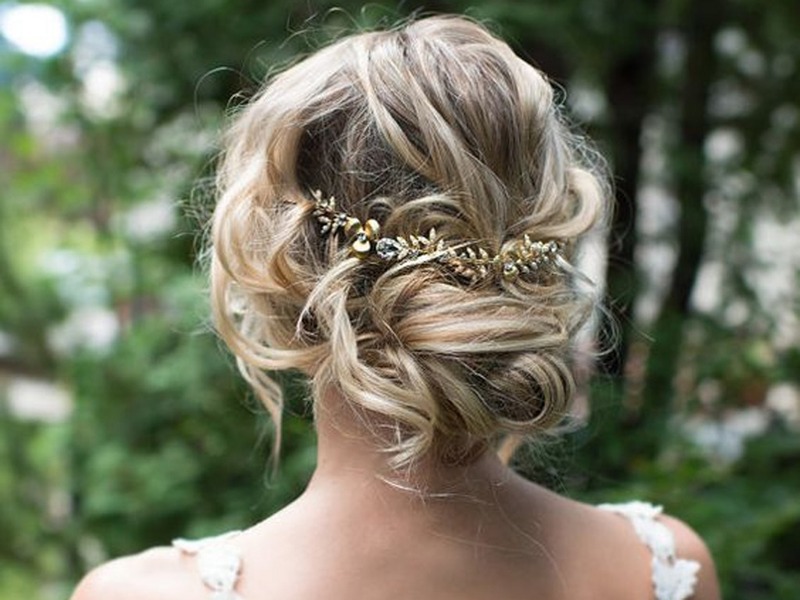 A hair piece made of fresh or preserved flowers will give you a natural touch. 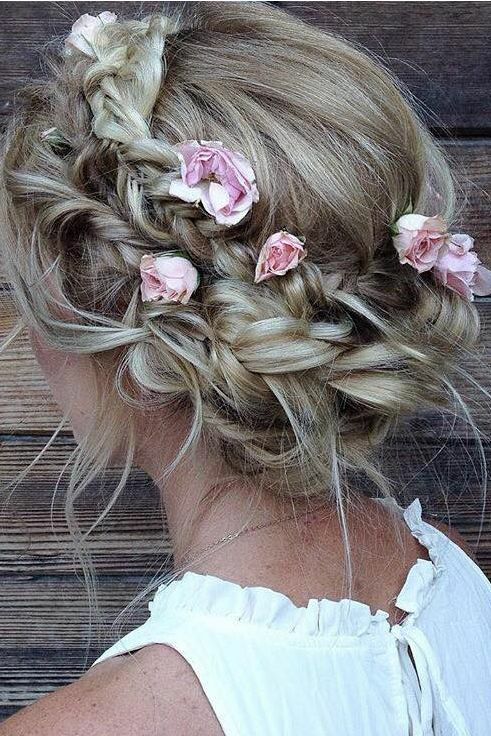 The braided hairstyle with flowers works very well when you don’t want to feel like a “formal bride”. 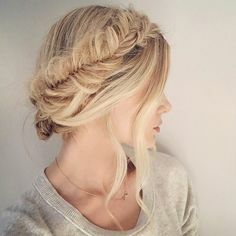 If you feel like you want to go without hair in your face but you like the movement that loose hair gives you, you can choose a half braided updo. You’ll have a natural and relaxed look and you won’t feel like wearing a classic bridal updo. 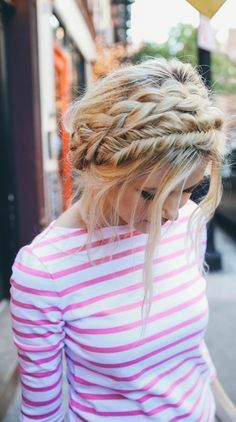 This is a hairstyle that can give you a vintage style and that works very well with a flower crown or a hair piece over the braid. Are you wearing a low neckline at your back and you’d like to have your hair up to show your open back? Choose a braided updo. 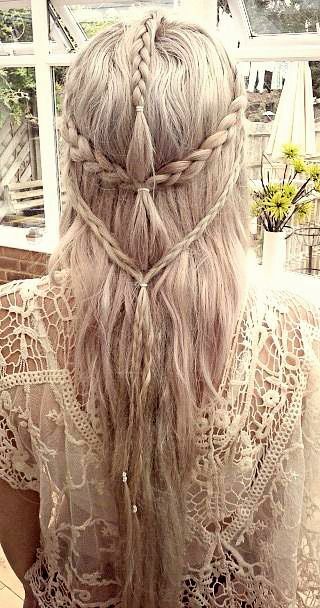 You’ll feel super fresh with this boho hairstyle. You can keep some hair strands loose for a more relaxed look. 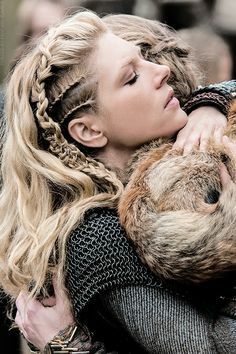 When I saw the hero on the TV show Vikings wearing elaborated braided hairstyles, I fell in love with her style. You can call me freak. If you love the medieval princess with a splash of rocker style (does this match exist?) 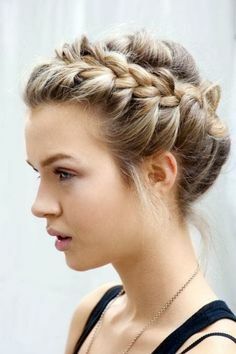 you can go with one of these braided hairstyles, I’m sure you’ll look stunning. And please, send me a photo! I’d love to see you! 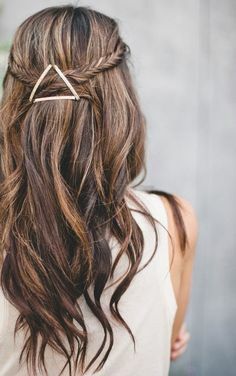 So you know, if you’re still thinking about which hairstyle to go with, a braid is a great option for boho brides and bridesmaids. 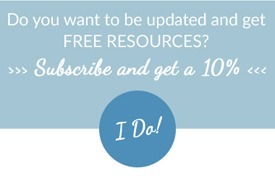 There are millions of tutorials on Pinterest and Youtube, you only have to try them at home and make your choice. 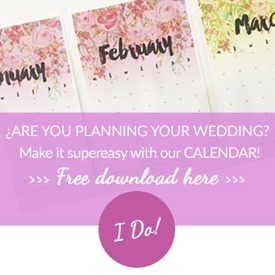 I’ll see you next week with more wedding inspiration!